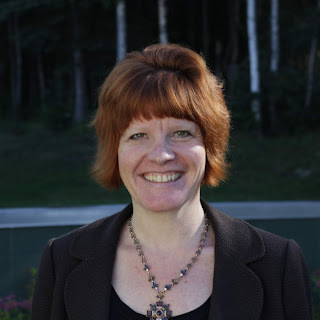 The Ketchikan Wellness Coalition is pleased to announce the recent appointment of Gretchen Klein as the new Executive Director of the Ketchikan Wellness Coalition (KWC). A longtime resident of S.E Alaska, Gretchen is delighted to be returning to Ketchikan after working for several years on Prince of Wales Island and in Anchorage. "The Ketchikan Wellness Coalition is much like the role I had at the Prince of Wales Health Network.” explained Gretchen. “We’re working to strengthen partnerships and efficiency by bringing together community volunteers and service providers to focus on areas of need in the community. I look forward to leading the volunteers and organizations who are dedicated to improving the quality of life for Ketchikan’s residents." With 20 years’ experience in the non-profit sector, Gretchen has helped develop non-profit programs and raise philanthropic funds and planned gifts for organizations ranging from the Alaska Public Media, PeaceHealth Medical Center Foundation, Prince of Wales Health Network, Big Brothers Big Sisters, and Youth Court. Gretchen was born and raised in Ketchikan and holds a bachelor’s degree in Parks and Recreational Management and Tourism Development. She has been active in East Anchorage Rotary, Prince of Wales Chamber of Commerce Board of Directors, Lions Club International, Delta Kappa Gamma, and currently directs the Totem to Totem Half Marathon as well as coordinating the annual Prince of Wales Island Art Extravaganza. In her spare time, she coordinates efforts across state to raise funds for ADA Camp K for children with diabetes. Departing Executive Director Kevin Gadsey expressed his support saying, “Gretchen’s skills, energy, and passion are exactly what the Coalition needs at this time to continue pursuing its current goals, building is support network, and identifying new goals for the future. As I transition out of Ketchikan, I am so proud to have led the Coalition through several successful efforts such as the establishment of the Pt. Higgins Disc Golf Course, the Summer Enrichment Cultural Camp, and the annual Karen Eakes Fun Run, as well as the ongoing work through a number of key grants including the Drug-Free Communities and Behavioral Health grants.” Gretchen looks forward to greeting members of the community at Ketchikan’s first ever Disc Golf Tournament at Pt. Higgins School on August 25. Tournament details and sign-ups are available at www.ktnwc.org. The Ketchikan Wellness coalition was established in 2008 by volunteers who came together with a common goal of creating a healthy and strong community. Currently, the Strengthening Cultural Unity, Substance Abuse, Building a Healthy Community, and Behavioral Health task forces meet regularly and work to create strong, sustainable positive progress by working together and pooling resources while decreasing service gaps and overlaps. Each of the task forces are made up of individual volunteers, non-profit organizations and businesses who care about cooperation and who recognize the need for collaboration to make Ketchikan healthy and resilient.